Most companies today acknowledge employee wellbeing as an important issue. There’s strong evidence to suggest that healthier and happier staff lead to fewer absences, better productivity and enhanced brand reputation. While there are lots of ways that companies try to improve the wellbeing of their staff, many often only scratch the surface. It’s the benefits that give employees the tools for long-term behaviour change that have the most lasting and sustained impact on people’s health and happiness. 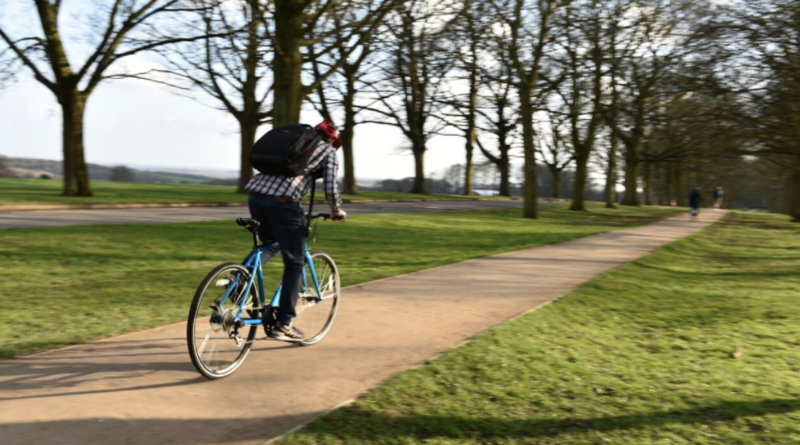 We know that the most common challenge businesses face is getting decent take up from employees for programmes like cycle to work initiatives, and also convincing people with no past experience or interest in cycling to give it a try. And helping employees stick to more active lifestyles is an even bigger challenge. Are employers missing a trick by not offering other types of benefit to staff that could act as a catalyst for them taking up and sticking to healthier behaviours? Whether it’s cycling fitness trackers, smart scales or smart watches; fitness apps and technology have seen a surge in popularity over the past couple of years. The jury’s still very much out on how far this technology has the potential to impact people's long-term wellbeing, but anything that helps people take a more active interest in their wellbeing is arguably a positive thing. It won’t be the silver bullet but it could be a relevant marginal gain in helping more employees to try or maintain healthier, more active lifestyles. Employees are busier than ever. They want ways to make exercise more fun, interactive and convenient for their everyday lives. Techscheme is a quick, simple and easy way that any business can give its employees affordable access to the latest technology – and it's a great way for employers to help employees access more products that could have a positive knock-on effect on their lifestyles. A new phone with GPS technology or a fitness tracker could be that much-needed incentive for getting an employee cycling to work more often. It’s a small difference but, for many employees, it could be a really important one. From our own analysis, comparatively few employers are signed up to schemes like Cyclescheme and Techscheme simultaneously – but those that are have employees who purchase more complementary products, more often. We’re currently undertaking research to find out what this means for the employees buying the products, and whether having access to technology has helped enhance their levels of wellbeing. It’s an exciting prospect. So our advice to businesses is: take time to think about how your employee benefits could complement one another – and whether there are any opportunities to give employees better access to products and technology that will increase their likelihood of taking up healthier lifestyles. It could be a big step towards a happier, healthier workforce.